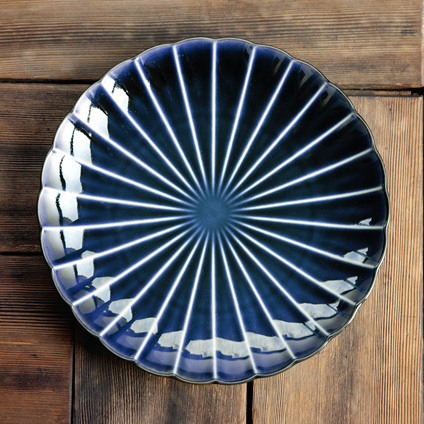 Giyaman - Kaneko Kohyo Pottery Manufacturing Co.,Ltd. 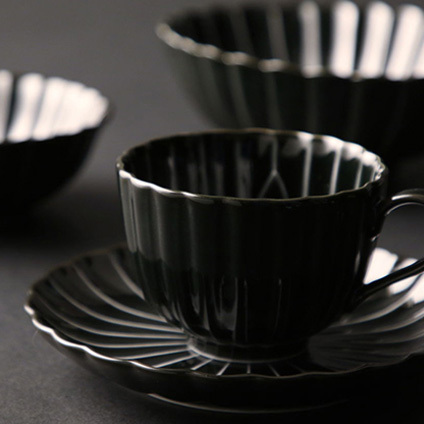 Giyaman is a Japanese loanword referring to “glassware” created from the early 1600’s to the late 1800’s. 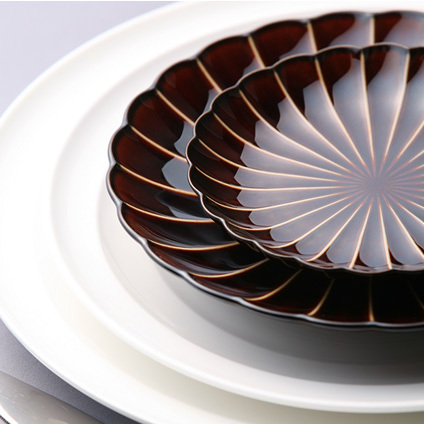 The Giyaman series combines both the lustrous characteristics of lacquer and the glowing radiance of glass. 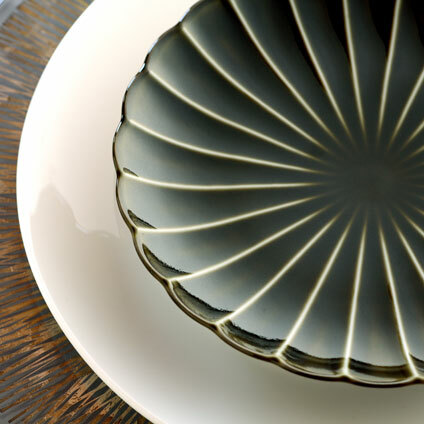 Under a spotlight, the tableware’s resonant coloring and traditional Japanese chrysanthemum design enhances the cuisine on which it is served, and the true value of Giyaman is revealed.